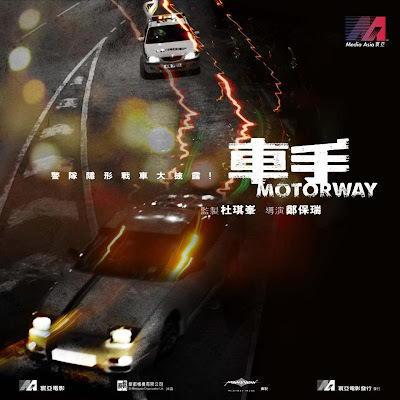 The seemingly never ending wait for Soi Cheang's Milkyway produced Motorway could soon be over, the film has a release date sometime in June. As a result more promotional material has started to appear including a new poster, teaser and a few stills. Loving the look of the teaser and I really like the music featured too, although trailer music is often just that. 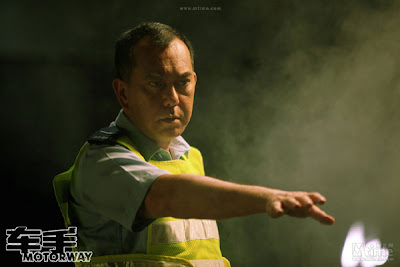 Anthony Wong manages to still look cool even in his public service outfit and Shawn Yue is probably the most improved Hong Kong actor out there. It could still turn out to be a huge disappointment but I'm optimistic that Motorway is going to be worth the long, long wait since the first details of it emerged.